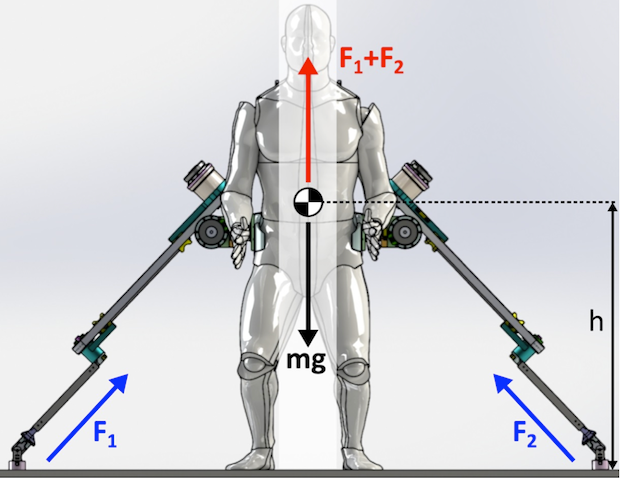 Supernumerary Robotic Limbs (SRLs) are robotic limbs that, when worn, give you more limbs than you’d normally have. 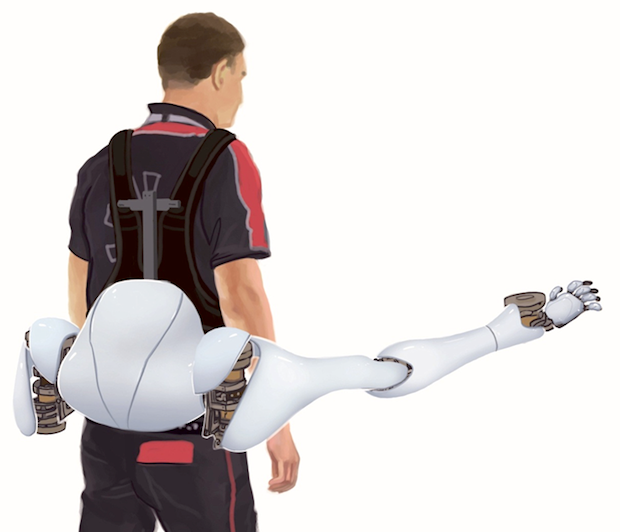 In other words, they’re not robotic limbs designed to replace biological limbs that you might be missing, but rather robotic limbs designed to augment the number of limbs that you have already. 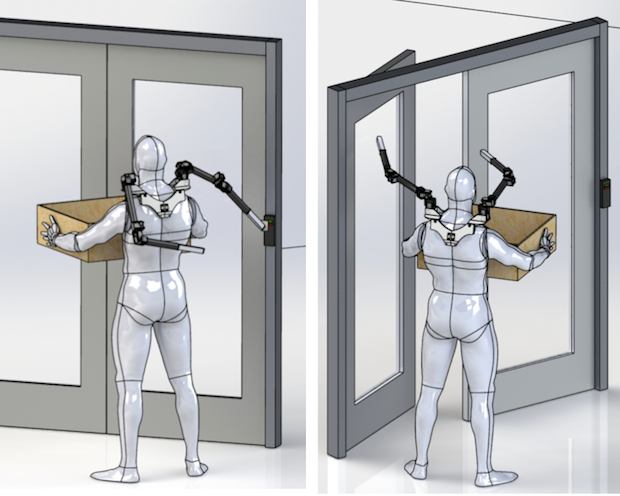 MIT researchers have been developing SRLs that can help you do stuff that would be annoying, uncomfortable, or impossible to do on your own. 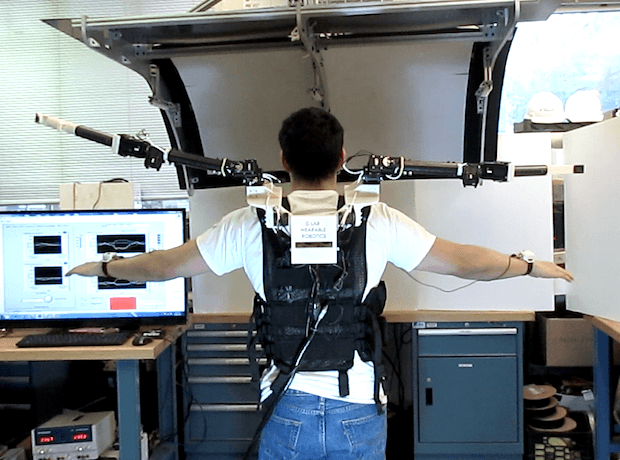 At the IEEE International Conference on Robotics and Automation (ICRA) in Hong Kong, they presented their latest SRL prototypes, with one model featuring a pair of limbs that spring from your shoulders and another with limbs that extend from your waist. 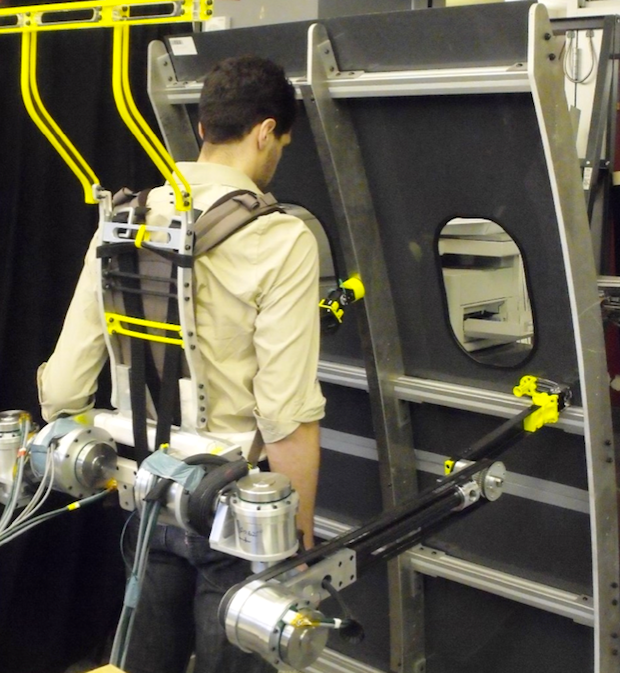 In addition to these extra shoulder arms, other researchers at the d’Arbeloff Lab, led by Professor Harry Asada, are constructing waist arms that can be used for holding objects as well as for bracing the user, much like an extra pair of legs [see concept, right].